With this win at Milex Open, Paes now has 26 Challenger level doubles titles in addition to the 54 ATP doubles titles he won during his illustrious career. 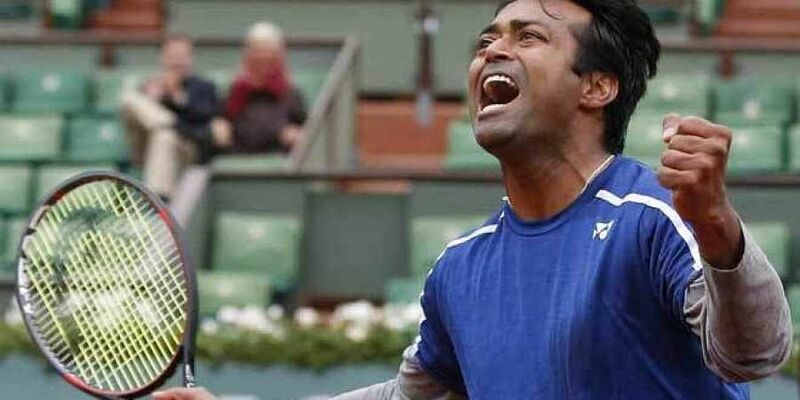 Leander Paes claimed his second title of the 2018 season as he and his Mexican partner Reyes-Varela came on top in a hard-fought match against Ariel Behar and Roberto Quiroz in the final of Milex Open. The Indo-Mexican pair defeated their less fancied opponents with the scoreline 6-4, 3-6, 5-10. Paes and Varela landed an impressive 71 per cent of their first serves compared to their rivals 67 per cent. They also got 75 per cent of their second serves in while their opponents landed just 50 per cent of their second serves. The champs converted two of the seven break points while the Uruguay-Ecuadorian pair were able to convert just two of the nine chances they got. With this win at Milex Open, Paes now has 26 Challenger level doubles titles in addition to the 54 ATP World Tour doubles titles he won during his illustrious career. Paes had already made it to two finals on the ATP World Tour this year (Dubai Tennis Championships and Winston-Salem), ending on the runners-up side in both the tournaments. The multiple-time Grand Slam champ had a mixed year thus far. Paes became the most successful doubles player in the history of Davis Cup when he partnered Rohan Bopanna to clinch his 43rd win. The pair defeated their Chinese counterparts in the doubles rubber of the Asia/Oceania Group I tie in early April. Paes was also in the news in for pulling out of the Asian Games in the very last minute. The Olympic bronze medalist will be playing next at the European Open which starts tomorrow. He and his partner Varela will take on fourth seeds Divij Sharan and Artem Sitak in their opening round match of the World Tour 250 series tournament.